If this process sounds familiar to you, it’s probably because it’s similar to what billionaire Peter Thiel did when he secretly funded a lawsuit from Hulk Hogan against Gawker Media. It’s still unclear whether Thiel benefited financially from $140 million judgement against Gawker, but the impact of his attack is evident. Now, a new startup wants to get more people in on the action. Two Harvard undergraduates have created a service called Legalist that uses what they call “data-backed litigation financing,” analyzing civil lawsuits with an algorithm to predict case outcomes and determine which civil lawsuits are worth investing in. Legalist says it uses an algorithm of 58 different variables including, as Eva Shang told the Silicon Valley Business Journal, who the presiding judge is and the number of cases the judge is currently working on. The algorithm has been fed cases dating back to 1989 and helps people figure out how long a case will last and the risks associated with it. 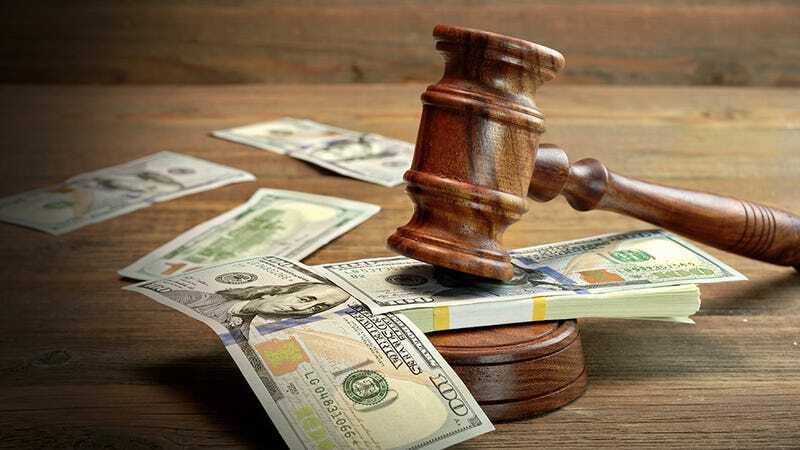 In a presentation at Y Combinator’s Demo Day on Tuesday, the founders claimed that the startup funded one lawsuit for $75,000 and expects a return of more than $1 million. Shang says the $1.40 is earned for every $1 spent in litigation financing, which can prove to be a profitable enterprise when you’re spending hundreds of thousands of dollars. In 2014, the largest litigation-finance business raked in $82 million in revenue with an operating profit of $61 million. The practice has no doubt continued to rise in popularity. With companies like Legalist making it easier for everyone to invest in lawsuits, it shows no signs of slowing down anytime soon. What could go wrong?